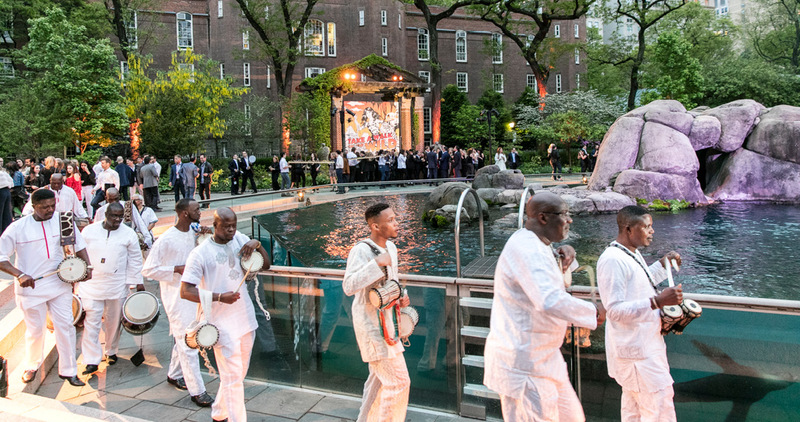 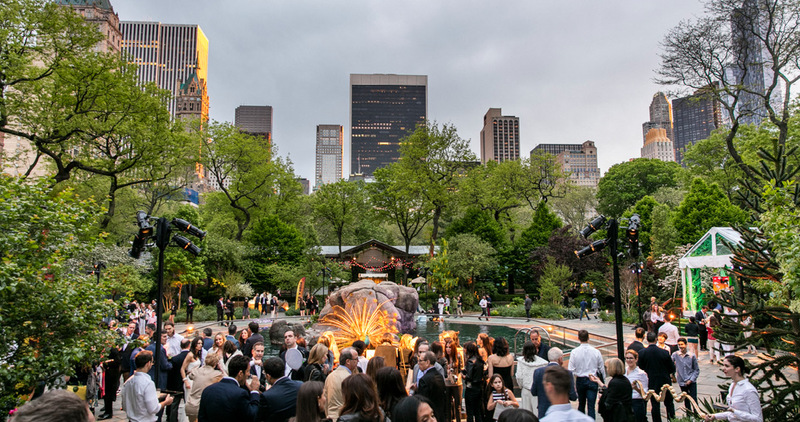 For one evening, New York’s Central Park Zoo got made over with the theme “it’s a jungle in here.” Guests arrived at this celebration and were immediately greeted by feature entertainment making their way around the sea lion pool, the first touch point for the night. 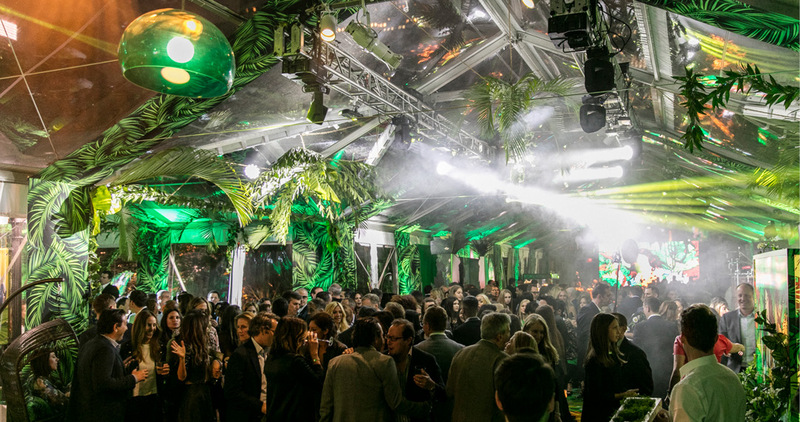 Two LED walls suspended from frames we designed and installed played custom-made graphics, providing dramatic focal points on either side of the open space. 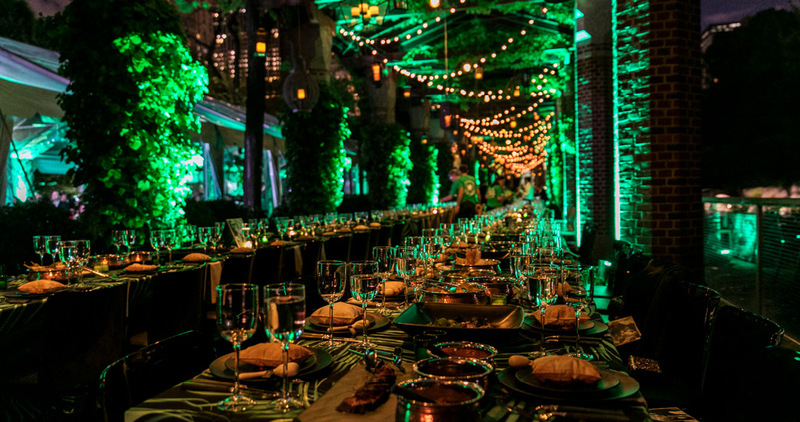 We worked with event designer & planner Anthony Taccetta to bring his vision to life, by creating an exotic color palette, which we adapted for the unique setting with thoughtful lighting design. 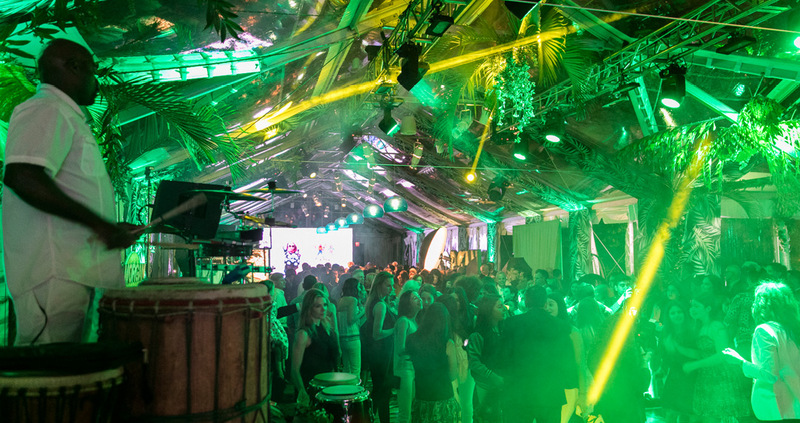 Each featured area, including environments for the adults to enjoy cocktails and dinner, and the younger set to lounge and dance, received its own unique lighting treatment. 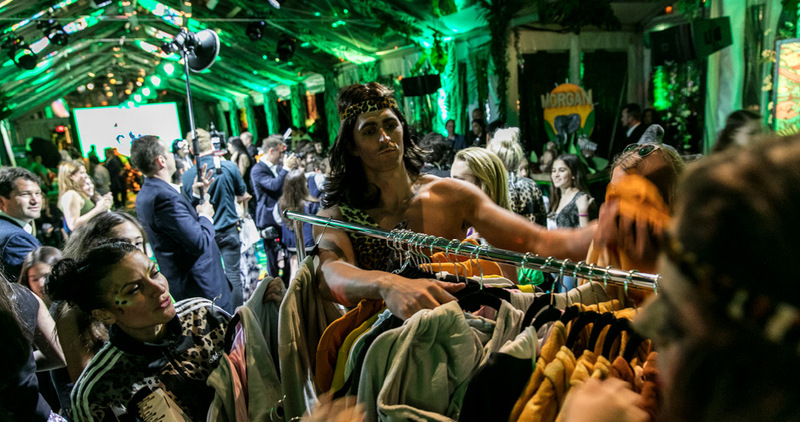 Our custom sound system supported the progression of the evening, which culminated with guests donning costumes as the DJ kept the packed dance floor entertained. 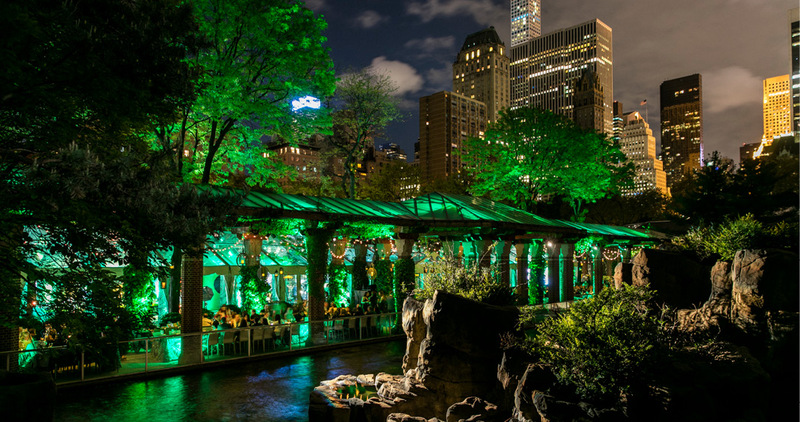 Ambient lighting provided the perfect backdrop, as the city that never sleeps twinkled in the background!